So glad you asked! Here is our story: Founded by two stay at home moms, Sign Dreamers is the first yard greeting company with a global purpose. Sign Dreamers provides gorgeous custom yard greetings and yard signs for any occasion or event. And, we make it easy for you to start your own yard greeting business. How did Sign Dreamers Get Started? Sign Dreamers began with a sincere desire to live purpose-filled lives and start a business that helps the world. And, we wanted to do it without sacrificing our families and provide others a chance to do the same. 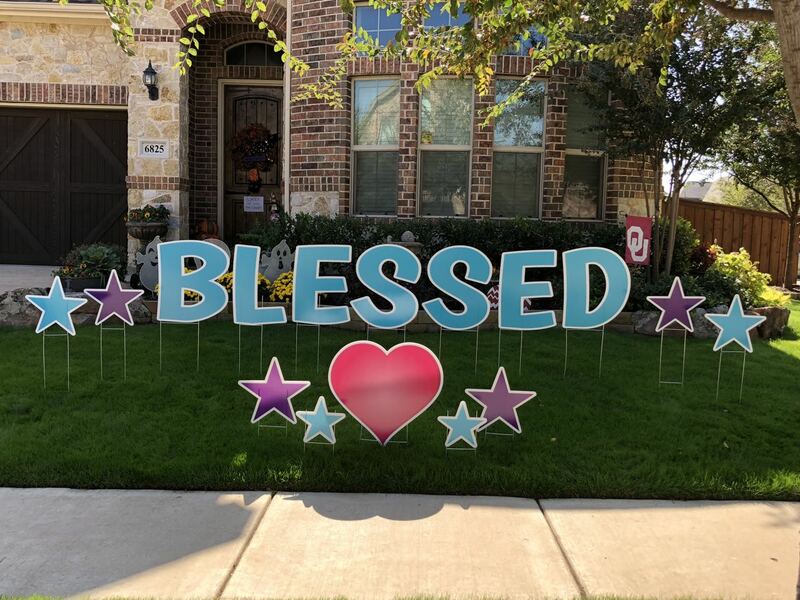 Adding joy and excitement to any celebration or event by providing gorgeous yard greetings, yard signs, and yard art. Creating a community of yard greeting business owners who support each other in making a positive impact on the world. Using our first world moments to impact third world lives. We support a great cause: providing education to the hearing impaired in remote areas of the world. Every Sign Dreamers yard sign helps give the gift of education to those who would otherwise be isolated from society. Learn more about the organizations we support by clicking here. We hope you join Sign Dreamers on this great mission to change the world one sign at a time! Support us by booking a greeting or starting a Sign Dreamers branded yard greeting business.